Although it is called Town Square by the locals, it is officially the George Washington Memorial Park. 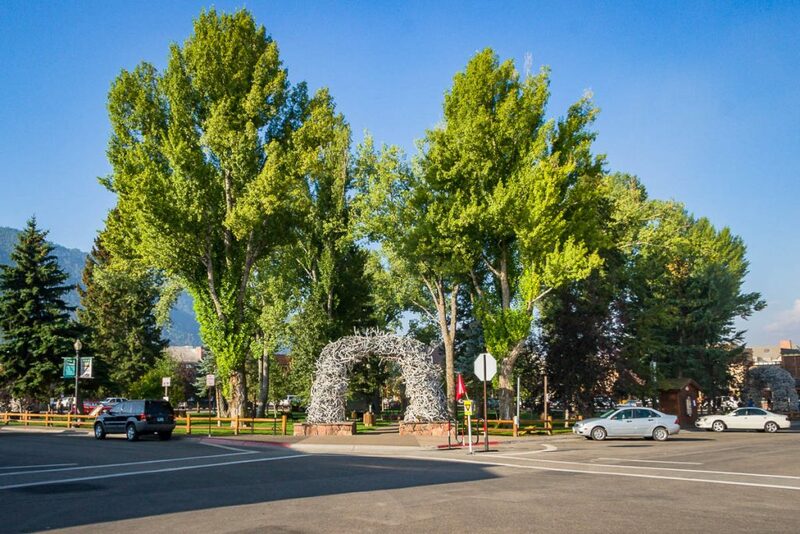 The park in the middle of Jackson, Wyoming, got that designation on the 200th anniversary of America’s first president’s birth in 1932. 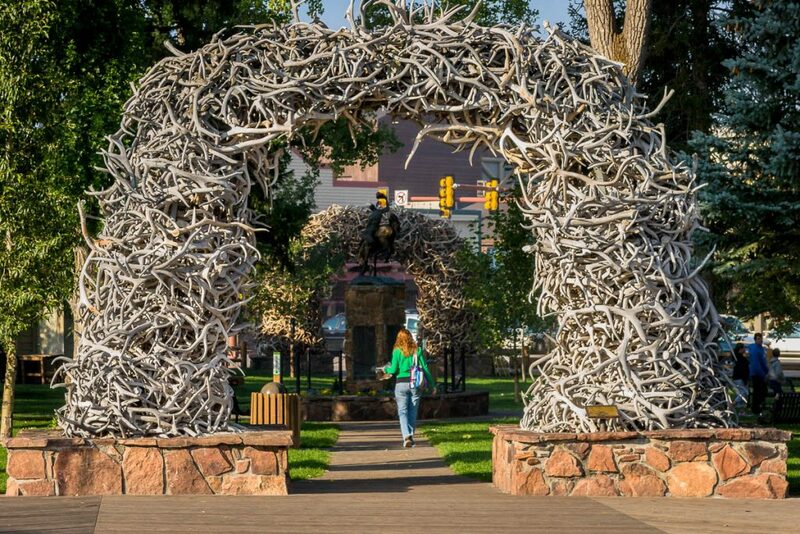 However Jackson Town Square is definitely better know for the arches made from elk antlers that stand at each of its corners. 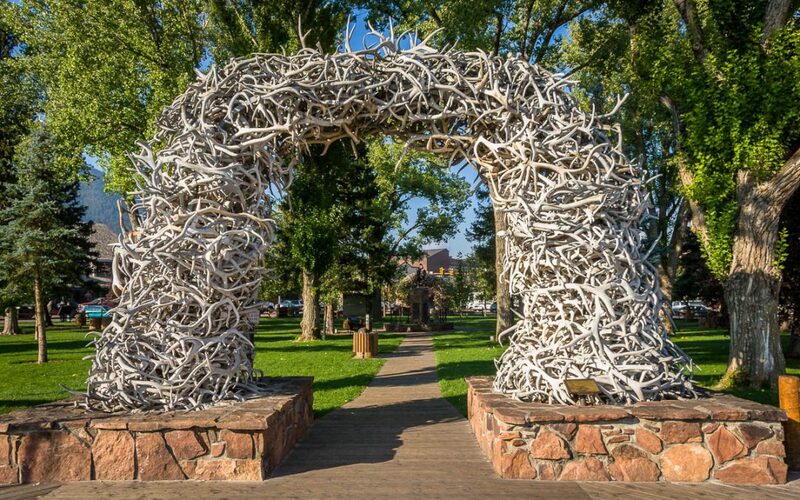 They have probably appeared in more tourist’s pictures than the nearby Grand Tetons or the geysers of Yellowstone. The first arch was built in 1956 by the Rotary Club from antlers gathered by Boy Scouts from the nearby National Elk Refuge. 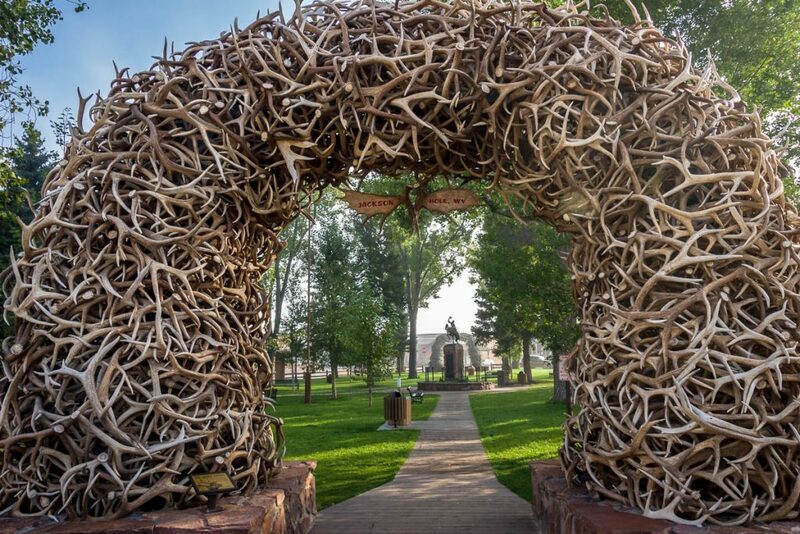 Subsequent arches followed in the 1960s and they are all periodically renewed with fresh antlers. 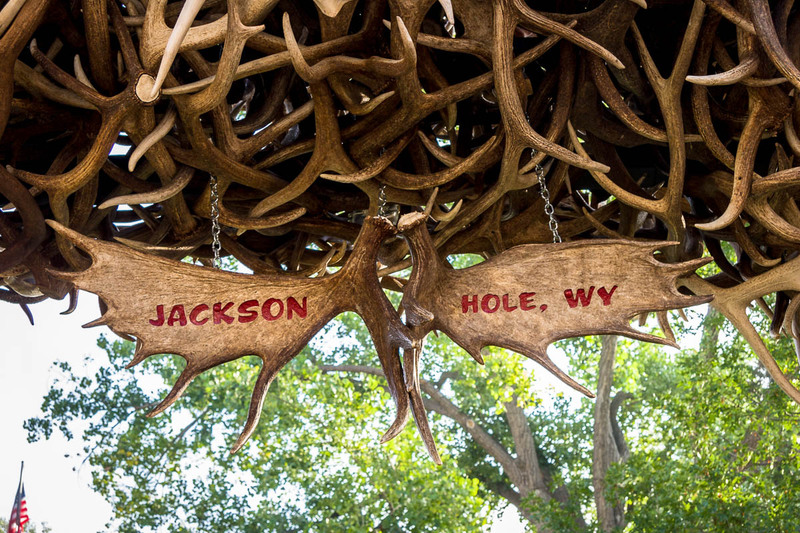 Please note that no elk were harmed in the process as they naturally shed their antlers each year and grow new ones. 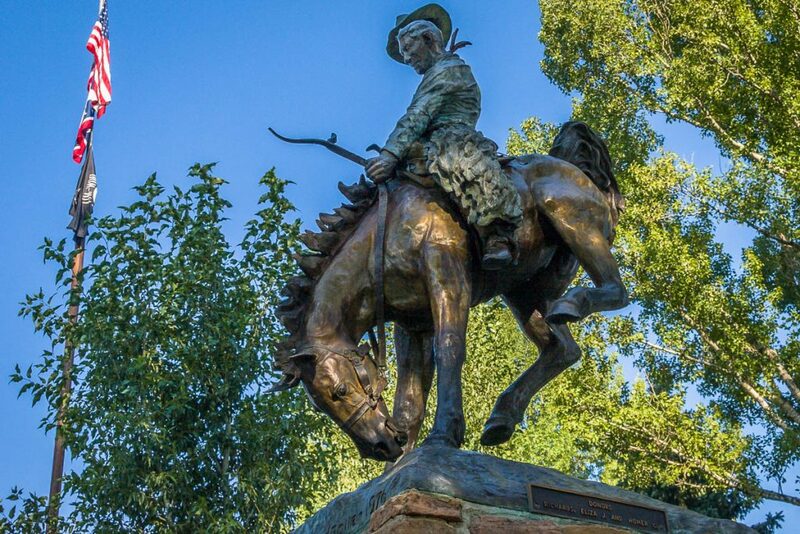 Visible through the arches is the statue of a cowboy on a bucking bronco. 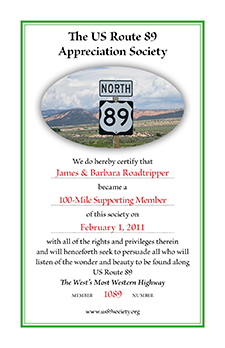 This iconic image is ubiquitous in Wyoming appearing on everything from the state license plate to the state quarter. 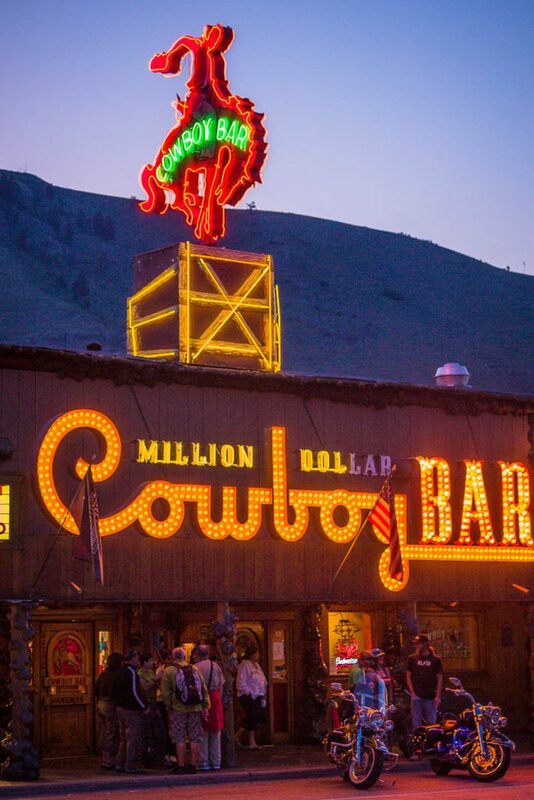 In fact right across from the town square is another of Jackson’s prime tourist attraction, the Million Dollar Cowboy Bar topped off by a neon rendition of the cowboy on a bucking bronco. 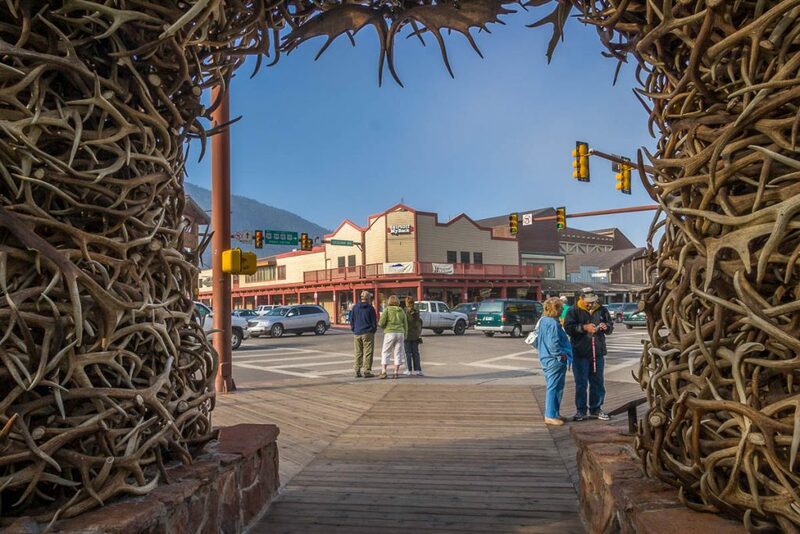 If you are curious about the current happenings at Jackson Town Square, check out this webcam facing the southwest corner of Town Square where US Route 89 passes the west side of the square. 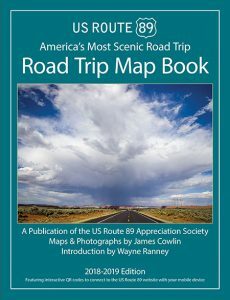 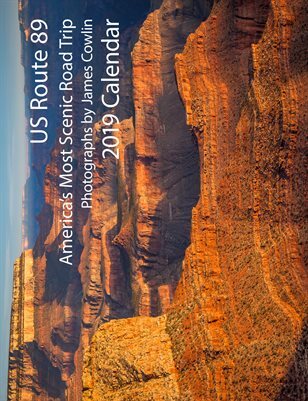 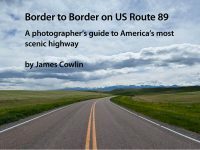 To find your way to Jackson, go to the Montpilier to Jackson Road Trip Guide.